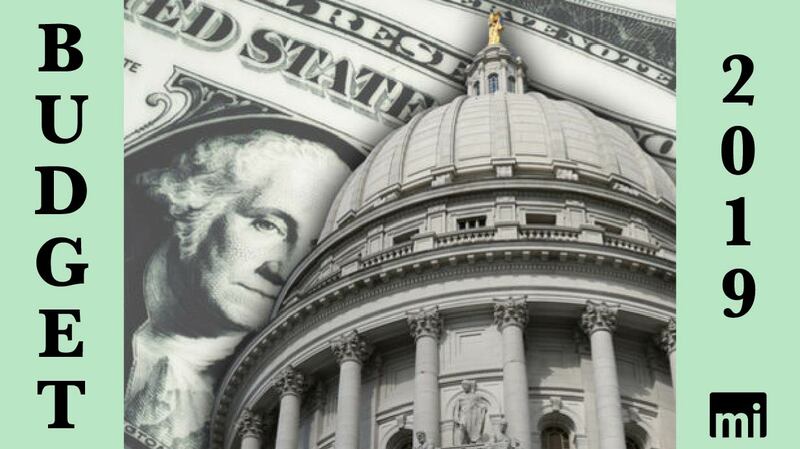 The Wisconsin Legislature’s Joint Finance Committee met on Wednesday, April 3, and Thursday, April 4, to begin their work on the 2019-2021 biennial budget. On Wednesday, the heads of the Department of Public Instruction (DPI), the Department of Transportation (DOT), and the Department of Health Services (DHS) provided briefings on the governor’s proposals for their respective agencies. As always, MacIver was there to watch. Check out some highlights of our live-tweets of the Wednesday briefings from the @MacIverWisc and @NewsMacIver Twitter accounts below. DPI’s briefing for the finance committee featured heated debates over the large funding increases for Wisconsin public schools. School choice was also a big issue at the hearing. The governor’s budget freezes enrollment in the popular programs that allow lower-income students to have the freedom to attend other schools.
.@rep89: these programs do more with fewer state dollars. Don’t take away opportunities away from kids. While Evers’ budget would “pause” the program, school choice enrollment has increased over the past few years, while public school enrollment has dropped. DOT was the second agency to provide the finance committee with a briefing on its budget. DOT Secretary-Designee Craig Thompson advocated on behalf of funding increases for Wisconsin roads, drawing attention to their condition, as well as to large construction projects. Thompson also argued that increasing state funding for road construction would allow more people to be employed by construction companies.
.@WisconsinDOT Sec Thompson says he approved the one-bid I39 contract that was $20 million higher than DOT estimates. Thompson voiced his support for the use of eminent domain to build bike paths, as well as the elimination of the minimum markup on gas but no other products. The final group heard Wednesday was DHS, the state’s largest agency. The DHS briefings revolved around Wisconsin’s future with the Affordable Care Act (ACA), also known as Obamacare, as well as Medicaid expansion. One major issue in the 2018 gubernatorial election was Wisconsin’s choice to refuse federal dollars to expand Medicaid. DHS Secretary-Designee Andrea Palm made the case during the hearing to accept those subsidies, while Sen. Luther Olson (R-Ripon) explained the realities behind the expansion from health care providers’ points of view. Since the last state budget cycle, the Federal Tax Cuts and Jobs Act repealed the individual mandate for health care. The ACA also included other mandates that have caused labor issues in the state. Legislators must now decide how to proceed in light of the changes. Sen. Johnson: A lot of Milwaukee area jobs aren’t full-time because full-time jobs are required to offer benefits. So those workers are getting fewer hours at work AND no benefits thanks to Obamacare. As always, stay tuned for more budget updates as the finance committee begins its tour around the state for public hearings.